In Warlords, we were presented with three interesting choices for talents at level 100: Exotic Munitions, Focusing Shot, and Lone Wolf. Exotic Munitions changes our Auto Shot behavior, Focusing Shot replaces Cobra/Steady Shot and looks like it’s going to be great on “stand and turret” fights, and then there’s Lone Wolf… the talent that should not exist for our class. Lone Wolf provides you with a damage boost equivalent to the damage your pet does in exchange for not having a pet out and allows you to cast buffs on your raid that your pet would have instead. I’m not a number cruncher, so this doesn’t take in to consideration whether or not Lone Wolf provides the greatest DPS boost at 100, I’m focusing on how Hunter pets contribute to the class from a class design and utilitarian standpoint. Goodbye pets, goodbye part of your toolbox! I ran dungeons with the Lone Wolf talent for two days and it was awful. I felt like I was betraying my loyal friend because a sim said I would be better off without him. And not only that, not having my pet out made me realize how much I NEED him. 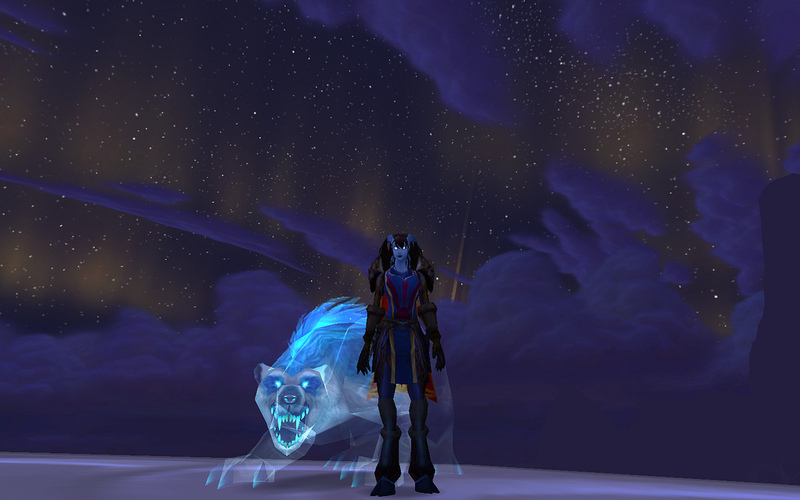 My pets aren’t just an extension of my ability to do damage, they’re an extension of my awesome Hunter toolbox. I didn’t realize how often I use Master’s Call until I didn’t have my pet out and needed it. When the tank dies—something that, let’s face it, occurs a LOT at the beginning of an expansion when everyone is under-geared and unfamiliar with the dungeons—my pet wasn’t there to taunt and tank the mobs and maybe save the group from a wipe. Having played BM almost exclusively since Dragon Soul, I’ve come to rely pretty heavily on the Spirit Beast heal, and not having it makes me feel incredibly vulnerable. Marksmanship’s mastery Sniper Training makes kiting mobs unappealing, combine that with not having a pet to tank for you, you better be putting out some hefty damage to kill that mob before it gets close enough to hit you. Unfortunately MM is parsing substantially higher than the other specs, so this is something you really need to take in to account since most players gravitate towards the spec that puts out the most damage. Aside from the fact that our pets are essential tools to performing well, Hunters are the original pet class. We used to have to complete a quest chain to learn how to tame pets. Selecting your first pet was a meaningful choice. We used to have to feed our pets to keep them happy so they would do more damage and if they got unhappy enough, they would run away. We had to grind mobs to level them up to make sure they were ready to raid with us. We had to legitimately take care of our pets and we developed bonds with our pets as a result. There’s not a Hunter I know who doesn’t have Petopia bookmarked. 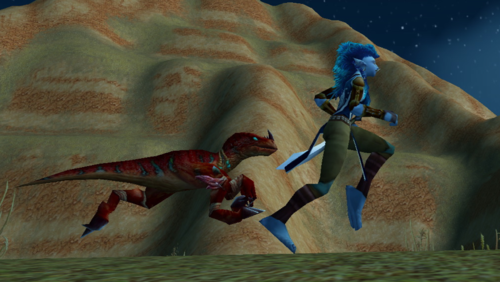 Rares present fun and exciting taming challenges for us and many of us have invested countless hours camping, stalking, and taming pets to take in to battle. Many, many Hunters, myself included, have spoken fondly of their pets like friends and feel a deeper emotional attachment to their pets than other “pet” classes. What is the best pet for the DPS? You see, my little hunters, there is no one “right” answer for this. 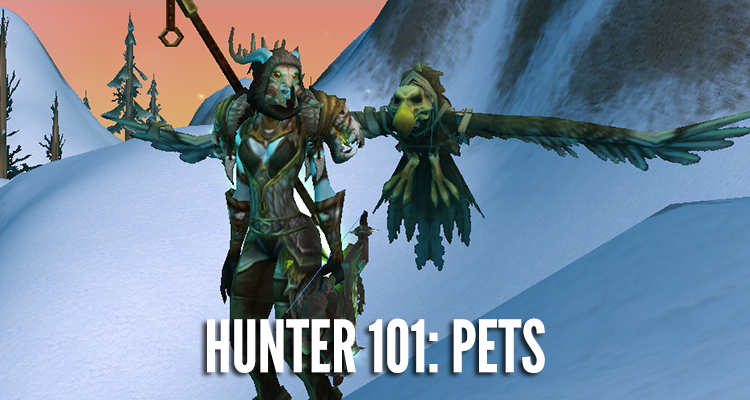 There are many pets in our hunter arsenal that are the best pet for the situation. The best pet for your DPS is dependent upon what you’re doing. I wouldn’t use the same pet for raiding that I would use in a battleground. My arena pet might be different from my battleground pet. The pet I use for questing isn’t the same as the pet I use to run 5 man dungeons, and I certainly do not use that pet when I hunter tank or do some extreme soloing. Hunter pets are one of the biggest utilities we have to offer and the sign of a truly good hunter is one who knows which pet to use in what situation and why. Blizzard blessed us with an overflowing stable in Cataclysm… we have FIFTY pet slots now! This is a fantastic opportunity, use those slots well. You see, my little hunters, there is no one “right” answer for this. There are many pets in our hunter arsenal that are the best pet for the situation. The best pet for your DPS is dependent upon what you’re doing. 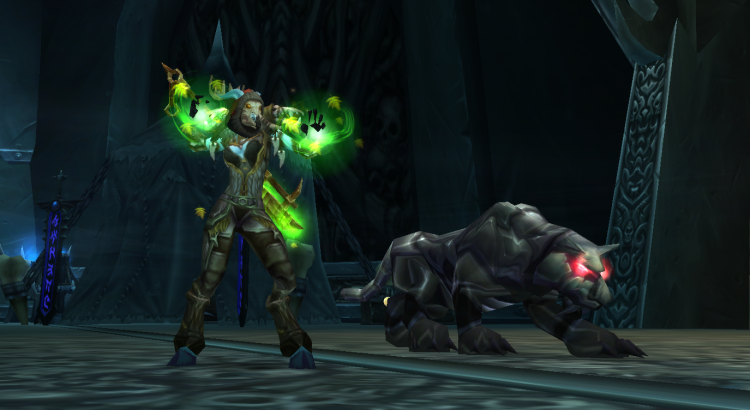 I wouldn’t use the same pet for raiding that I would use in a battleground. My arena pet might be different from my battleground pet. The pet I use for questing isn’t the same as the pet I use to run 5 man dungeons, and I certainly do not use that pet when I hunter tank or do some extreme soloing. Hunter pets are one of the biggest utilities we have to offer and the sign of a truly good hunter is one who knows which pet to use in what situation and why. Blizzard has blessed us with an overflowing stable in Cataclysm… we have TWENTY FIVE pet slots now! This is a fantastic opportunity, use those slots well. What’s your opinion on BM? Can I use an exotic pet as MM if I dual spec BM/MM? How do you handle bad pet AI raiding as BM? Should I use Focus Fire during Bestial Wrath? What’s your favorite pet? Favorite raid boss? What’s the best pet to raid with? NOTE: THE INFORMATION IN THS POST IS DEPRECIATED AS OF PATCH 5.0.4, PLEASE REFER TO THE UPDATED PANDARIA POST HERE FOR MORE ACCURATE INFORMATION.